Buy today while it's on your mind and be ready to thank your volunteers anytime! Shopping for birthday cards for volunteers? You found them. 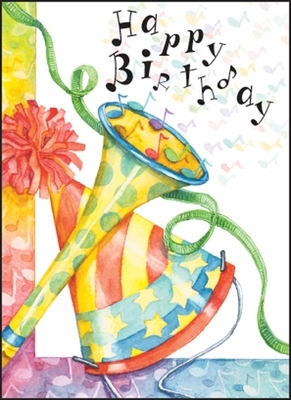 These fun birthday cards offer a special message and eclectic design. Our volunteer greeting cards are designed to strengthen the relationship between your organization and the hands and feet that make it great. Order volunteer birthday cards today and celebrate with your volunteers. 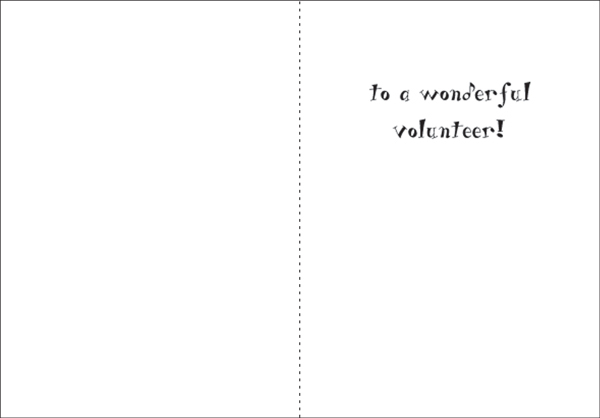 Inside: to a wonderful volunteer!